Last week our team received notification that Metric Theory is a finalist for three Landy Awards. The Best B2B SEM Initiative highlights our growth-focused results for client Five9, and Search Marketer of the Year recognizes the outstanding accomplishments of our Associate Director, Brittany Blanchard. 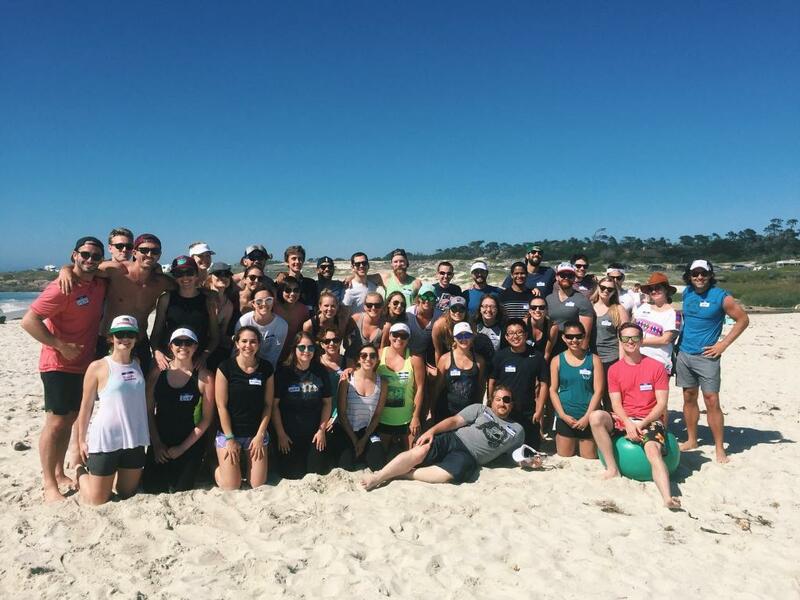 Metric Theory’s team, which is nominated for three Search Engine Land Landy Awards, enjoys a well-earned beach day. Search Engine Land created The Landy Awards to recognize individuals, agencies, and internal marketing teams within the digital marketing community who have demonstrated excellence in executing organic and paid search marketing initiatives. Metric Theory is extremely proud to be considered for SEM Agency of the Year. Our organization works tirelessly to stay on top of cutting-edge digital tactics in order to scale the SEM programs of our clients. As a result of our team’s dedication to excellence and the results we drive for clients, Metric Theory’s customer base has grown rapidly over the last 4 years bringing new experiences, success stories, and challenges to our portfolio. The core values of Metric Theory are to be the absolute best at what we do, and evolve as our industry changes. Recognition from a publication as widely respected as Search Engine Land is a testament to our team’s hard work, digital innovation, and dedication to delivering world class campaigns for our clients. The acknowledgment of our work for Five9 is evidence of an important shift in the B2B SEM space – optimization towards lead quality and sales outcome data is a necessity in order to maximize SEM’s impact on sales. Five9 has been a client of Metric Theory for years, and their level of digital marketing sophistication along with our team’s expertise has resulted in a world-class demand generation program that has delivered growth both pre- and post-IPO. Lastly, we are extremely proud of the recognition of Brittany Blanchard. Metric Theory invests heavily in training and developing home-grown digital marketing talent. Brittany is a testament to our program’s success, having risen from one of our Denver office’s first employees to an office director overseeing millions in digital advertising spend. She has significantly impacted our company’s growth, the quality and efficiency of our services, and the fantastic results of dozens of companies’ SEM accounts. Clients and employees who have the honor of working with Brittany know that she is simply an all-star. The winners of each category will be announced live at the Awards Ceremony and Gala of the SMX East Conference in New York City on September 28th. We hope to see you there.